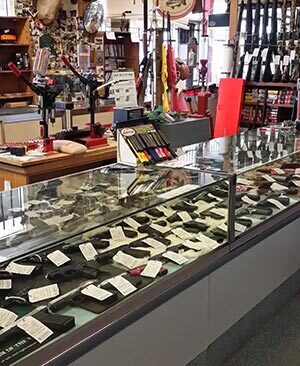 Searching for an outstanding gun shop in Olathe, KS that not only boasts an incredible selection of guns, but also a knowledgeable staff who can answer all of your questions? If so, look no further than Harrison Street Pawn and Gun. New firearms: We offer high quality brands with brand new firearms including Colt, Glock and Ruger pistols. We will be able to help you find what you are looking for as well as help you with any questions you may have about particular designs and brands. Ammunition: Having the correct type of ammunition is essential for firearms. 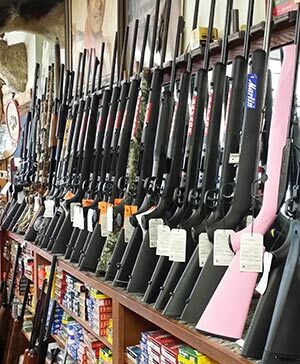 We offer a vast selection and our firearm experts can help you make sense of it all. Let us help you find the right ammunition for your firearm today. Gun cleaning and repair: Keeping your firearm clean and in good repair is important not only for safety, but also for the longevity of the firearm. Looking for a gun shop in Olathe, KS to assist you with care and maintenance for your firearm? No matter what kind of gun you may own, one of our professionals will be able to offer care tips as well as take care of any repairs or cleaning needs that you may have. These are just a few reasons why we are the most trusted gun shops in Olathe, KS. From gun repairs and regular cleaning services to finding a brand new firearm, our experts are ready to help you with all of your firearm needs. Call us today at (913) 783-4867 or visit us at 25440 W 256 St Paola, KS 66701.